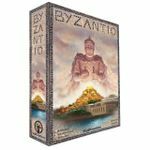 In preparation for BGG.CON, I'm listing my games of interest to help with coordinating game plays with my buddies and to hear their (and maybe other's) thoughts about these titles. Feel free to comment if you feel so inclined, and don't be a stranger. Are you interested in playing any of these games, too? I welcome your thoughts and opinions. Level of interest: Make mine a Venti. I'm a big fan of DHMG and have been wanting to play this for a while now. I'm intrigued by this Dice Hate Me Games produced T. C. Petty III design that incorporates fluctuating co-operative play. I'd really like to try this with the full complement of 8 players, and it looks as if that just may happen on Wednesday at 4 pm. Details can be found here: Item for Geeklist "BGGCon 2013 Epic Games Meet-Up List"
Level of interest: Green with envy. I doubt I'll ever play this anywhere but the Con. 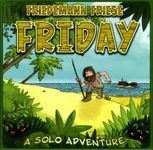 I've known about this Friedemann Friese game for a few years now. 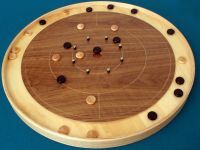 15 people play in groups at three different boards with players moving in and out of groups during play. Where else but a convention are you going to find enough people and all three sets of the game to play this? Level of interest: As big as the box! I hope to play this at the Con every year, but it doesn't always happen. I'd really like to introduce this Splotter Spellen title to my friends for them to discover its wonderfulness for themselves. It's just such a different game experience. I'll own this big box one day. One day! Item for Geeklist "BGGCon 2013 Epic Games Meet-Up List"
Level of interest: Ken Burns-like! I have high hopes for this game. From what I've seen and read, this sounds like a great game. I won't feel satisfied if I leave the Con without playing it. I'll bet this one makes the Hot Games Room, so it'll just be a matter of time until history is written. Level of interest: Gundam-sized! I'll play anything by Seiji Kanai right now. This guy's on a roll. I love the quirky art and the inventive game play. I can't wait to see how this one plays. I wonder if any copies will be available for sale. Level of interest: Are Uwe kidding me?! His track record speaks for itself. I still don't know what this game is about, but I'll sit down and learn it in the Hot Games Room for sure when a seat becomes available sometime throughout the week. Level of interest: Intense! 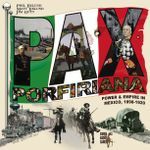 A must play for me at this year's Con. 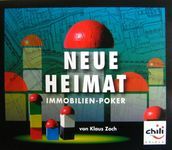 This game's described as a very nasty property bidding game, and it plays up to 5 in under an hour. I'll be teaching this to my friends once I check out a copy of this hard to find game from the Library. I trust it'll live up to its reputation. Interest level: Focused! I must play this at some point. If I have the time I would really enjoy learning to play this block game. Everything I've heard about it just makes me want to play it more. Level of interest: Sold! Just waiting for my copy to arrive now. I can probably wait to play this until after the Con, but I'm a bit excited to get it to the table, too. I'm not sure if I can wait or not. I know Makis is excited to have a play of this. Level of interest: Mesmerized! Those boards are so drool-worthy. It's no surprise I'll be playing a few games on the boards again. I'm excited just thinking about how this year's boards will look with Samurai themed artwork. Level of interest: You've got my attention. It looks just as good as Ruhrschifffahrt 1769-1890. Though I still haven't played my copy of Ruhrschifffahrt 1769-1890, I'm eager to try Spitzer's newest game, especially since I don't see myself obtaining a copy to take home any time soon. I'd love for this to make it to the Hot Games Room, but I'm not holding my breath. I wonder if anyone will be available to explain it since I haven't even read the rules yet. Level of interest: Amused. I like what I see so far. Hmmm... designer Mac Gerdts has a new game out. The map looks nice. I might have to try this out. Level of interest: Along for the ride. I'm jumping on the bandwagon. This game's getting good buzz. Apparently it's a fun dice and card combo. Level of interest: One eyebrow raised. What makes this one so special? I'm curious to see how this iteration plays and compares to the original. I've already got a lot invested in the franchise. What's one more game, right? I'll have to see this one up close to know better if it's worth trying out. Maybe if I can read through the rules first that might help me make my mind about this, but as it stands right now I don't know what to expect from this game. Level of interest: Shiver me timbers. The high seas are calling my name. 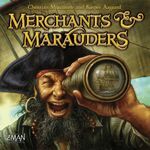 I've heard this is the best pirate themed game out there, but I'm not sure my friends will want to play this when there's so much shiny, new loot to uncover. Level of interest: Mas o menos. I don't have to play it right away. I'm still trying to obtain a copy of this in the virtual flea market. 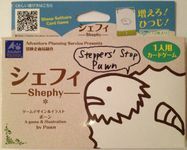 If I don't get a copy there, I'll be more inclined to want to play it at the Con, since it won't be coming home with me. Interest level: Burp. It's beer and pretzels time. This would probably make for a great end of the evening dexterity laughfest. We really ought to try this out. Interest level: Adorable. I'm smitten. I'll be surprised if I can find a copy of this little solitaire card game. I think it'd be fun to try out. Interest level: Eager. I'm prepared to give feedback. I look forward to catching up with David and play testing some of his upcoming designs like Bomb Squad, Round Trip or Clone Lab. I really like his work. Interest level: Pleased. Just doing a friend a favor. I've promised to teach this to Shari after she picks it up from the flea market. It's a good solitaire game. I may wind up playing Drachenfels with her, too. It looks so beautiful that I just have to see it up close.